There are only three examples of people Jesus raised from the dead in the gospels. I am guessing that there were others, but I cannot really say that with certainty. That is, of course outside Jesus raising Himself and those who were raised at His crucifixion. Do you know what there are none of in the gospels? Funerals. There not a single recorded incidence of Jesus going to a funeral and it not turning into a celebration. Dead people around Him had this bad habit of coming back to life. Now, because He does, we also can. God, bring me to life. I don’t just want to have a beating heart and working limbs. I want to have a heart that beats for You. I want to have feet that will follow and hands that will work for You. I don’t just want to go through the motions of life. Let every day be a part of the daring, awesome, uncomfortable adventure of following You. I want to live. Let us pray today that all who come into contact with our Savior are affected in a similar way. Let life come into us as a result of our hearts being touched by Him. We have walked around in our slow death long enough. Come dear Lord, give the word for us as well. 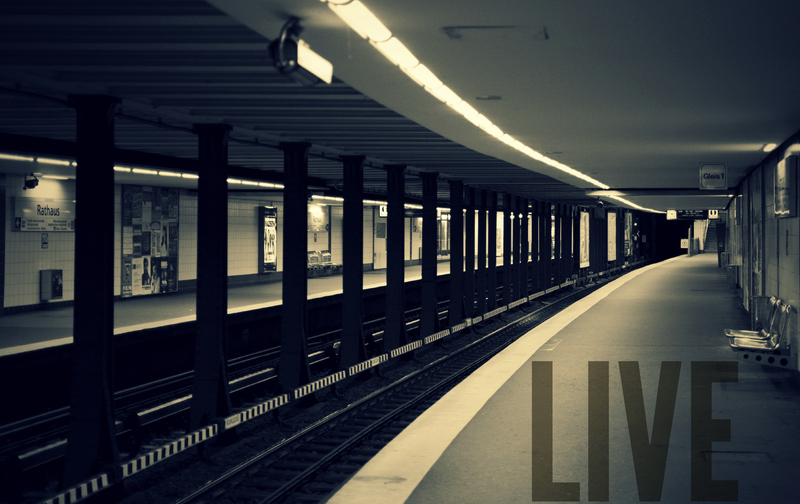 Let us hear Your voice say, “Live”! Thanks again brother BJ for bringing us past the low norm and send our souls searching for the presence and closeness of Jesus Christ in whom we have put our hope! Truth brings life and you spoke truth here and we live because He lives in us. B.J. Thank you for sharing your journey in the Lord’s grace; and for this video. The music is beautiful, but for those who do not know the message they are missing the best part. I am posting this on my blog with the text. Praises to our Lord who died that we may live. Blessings as you continue to share. Great words to build our faith. Christ gives life. May he give life to millions of people through our blogs! I nominated your wonderful blog for the One Lovely Blog award because I think it’s awesome! There is no obligation on your part, but if choose to accept this award, the rules are posted on my blog: An Unfolding Glory. If you get the chance check out the other great Christian blogs that I’ve linked to. Thanks! This is what my beating heart is all about! Love it! Your blog is the one I read. And ponder and think, yes. Right. Like this one. Live. May He truly live through me, in ways that bring Him glory. I appreciate, BJ, your brevity of words that paint the exact picture and emotion that make your point come alive. Thank you for your hard work and time in getting the words just right. God bless you. Amen. Yes … I want to truly live! Excellent devotional article. Thank you! And God bless you and your ministry! There is no greater purpose, vision, motivation than the hope the resurrection brings – Because He lives, I can face tomorrow. Amen because He lives, I also live.